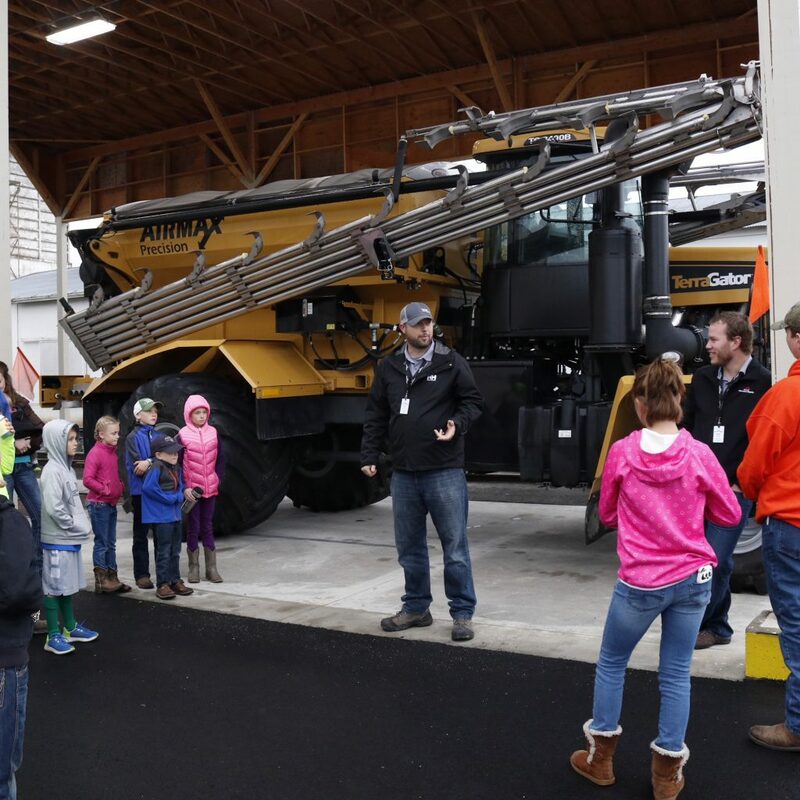 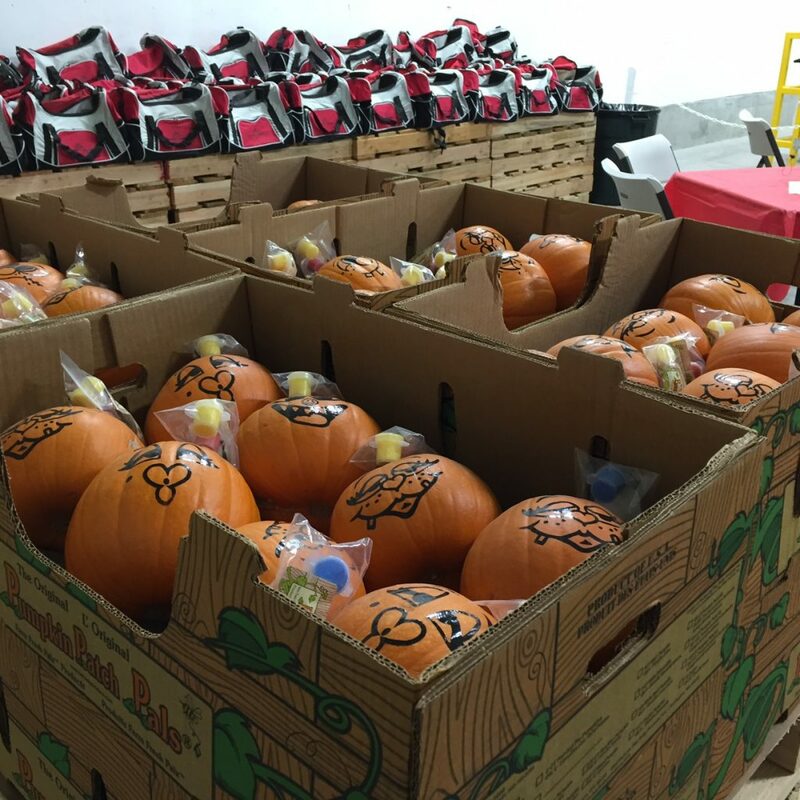 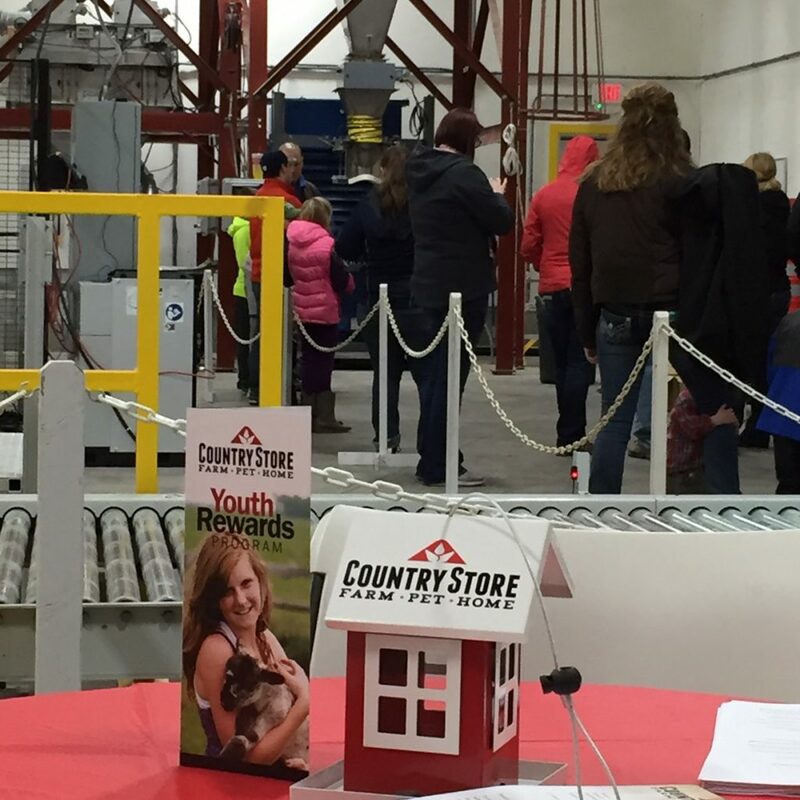 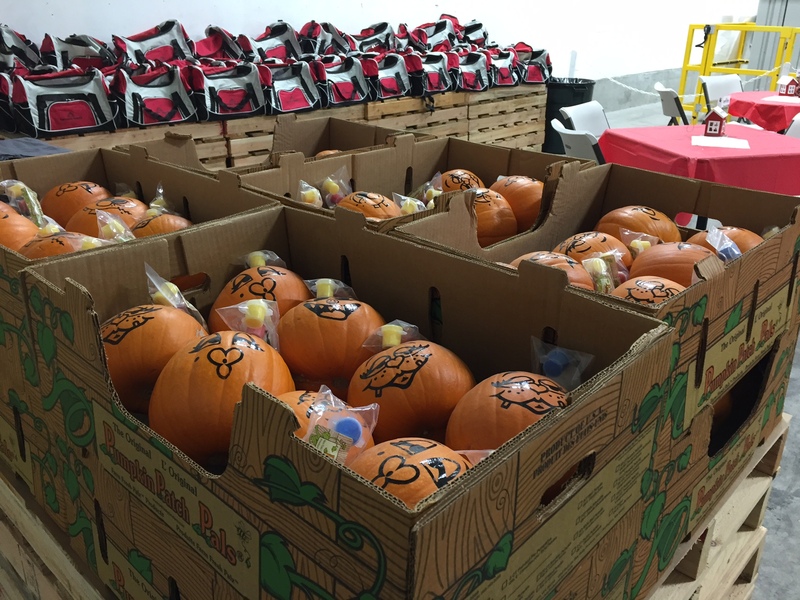 Home » Blog » Youth Day 2017 at Skagit Farmers Supply! 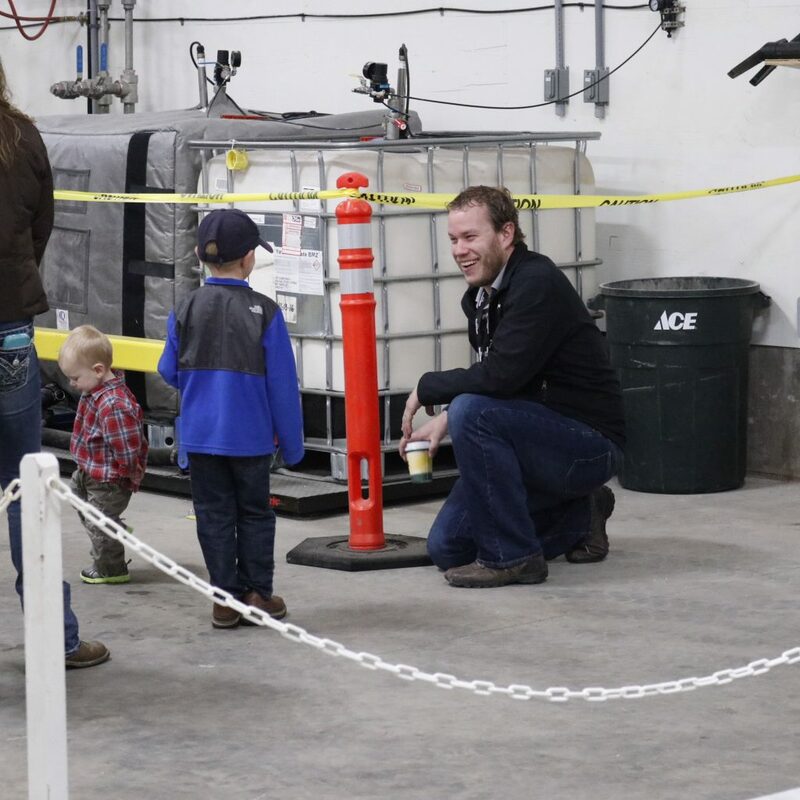 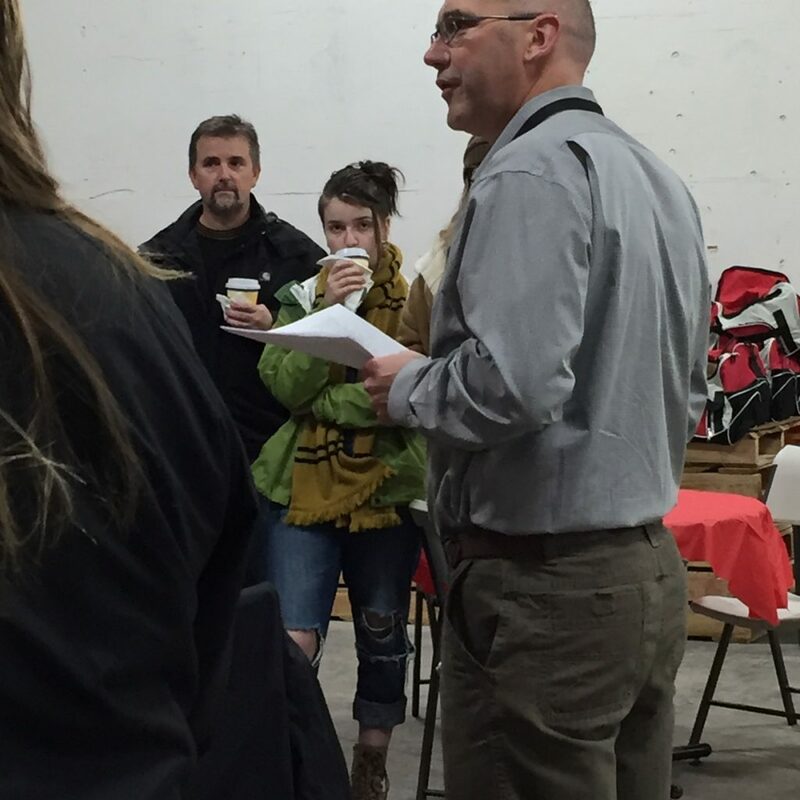 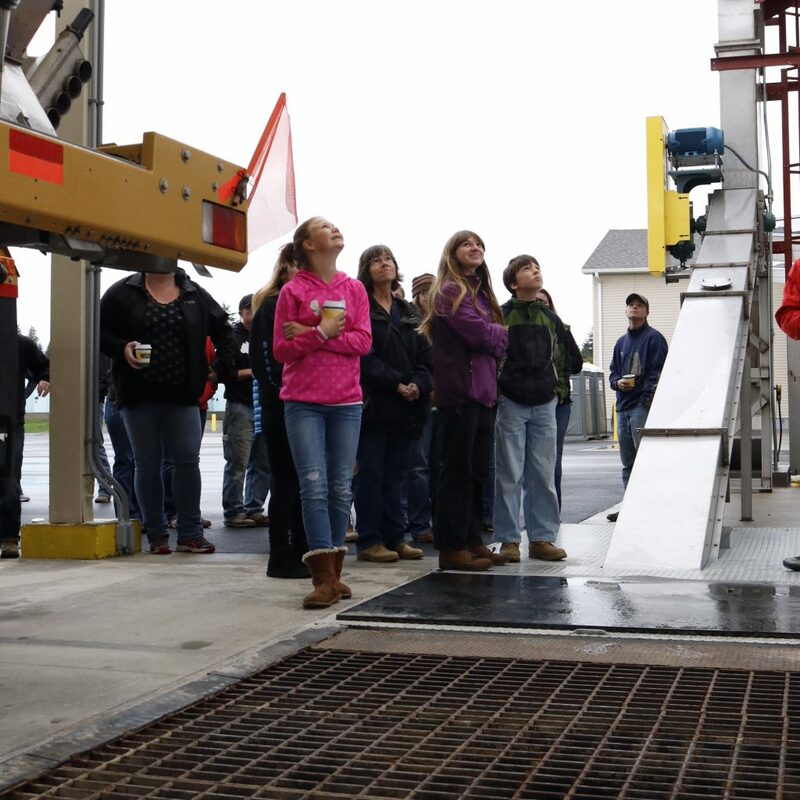 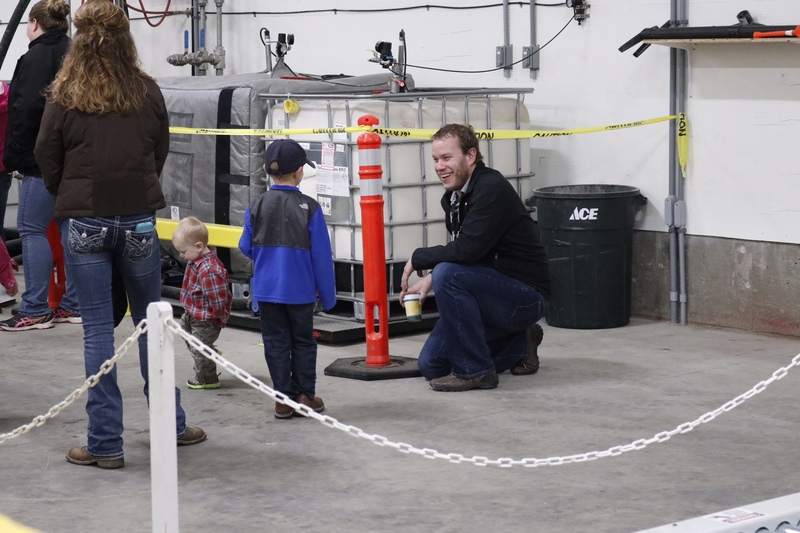 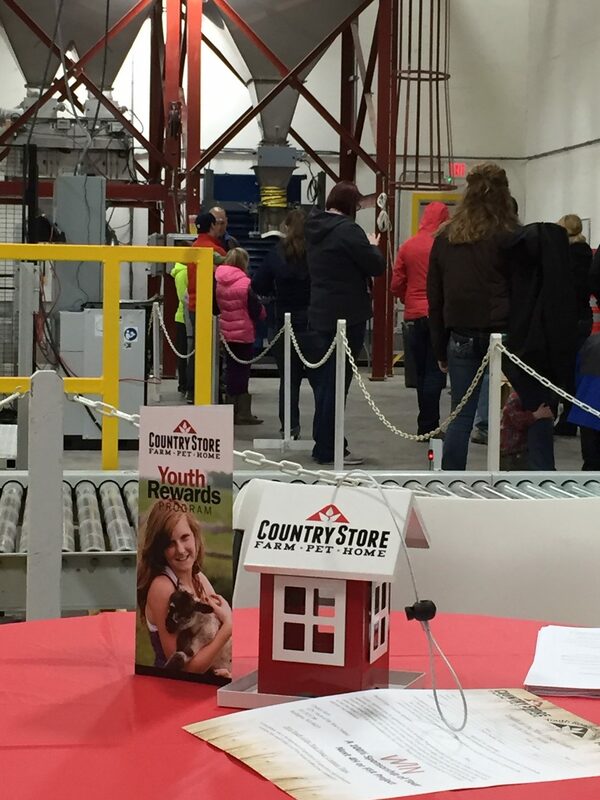 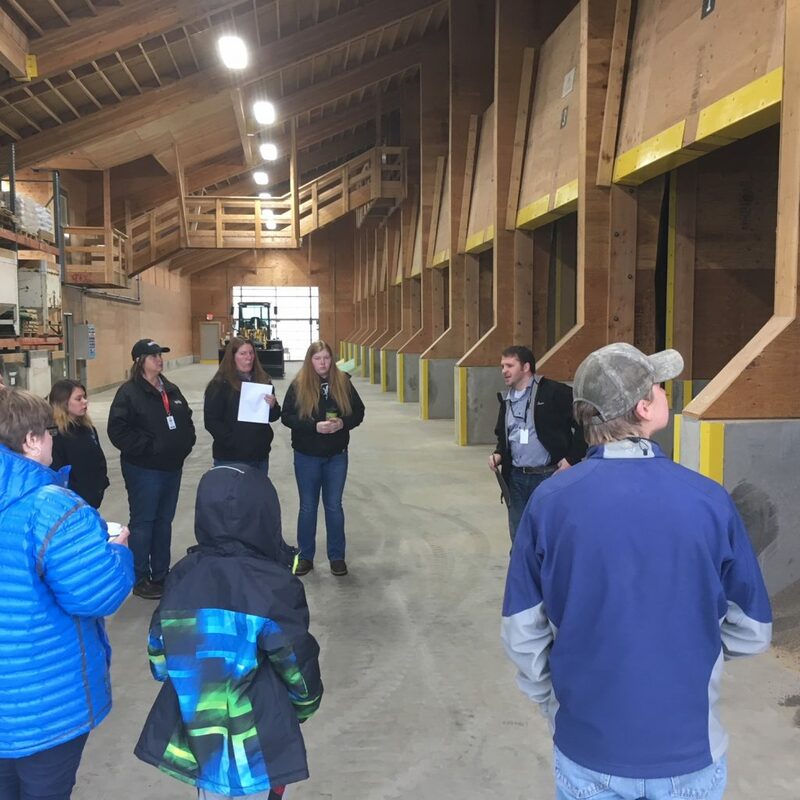 We kept warm with hot spiced cider and hot cocoa as we presented an interactive tour of our new agronomy center in Burlington, Washington! 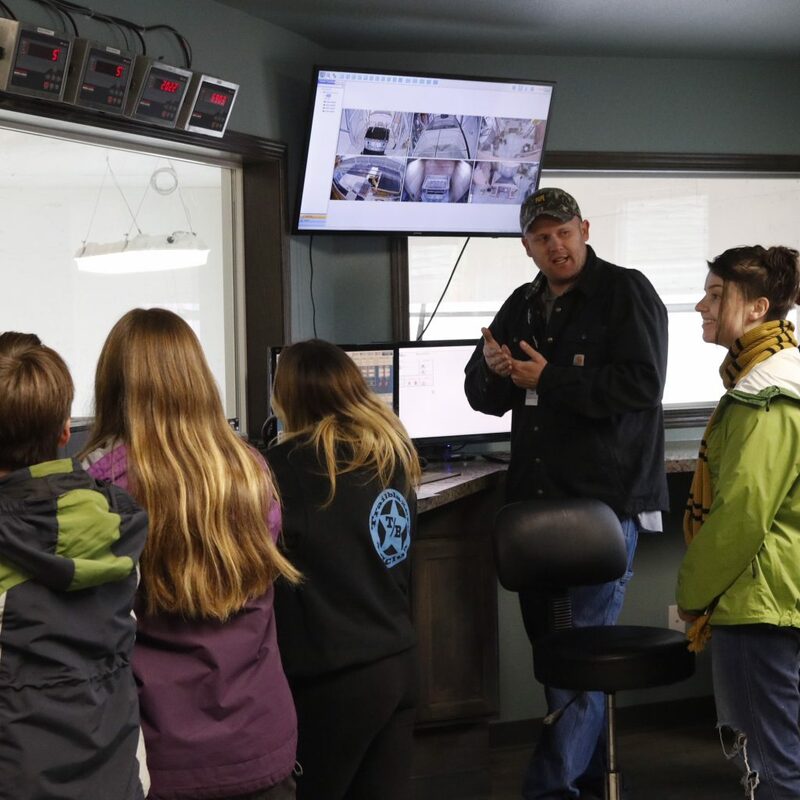 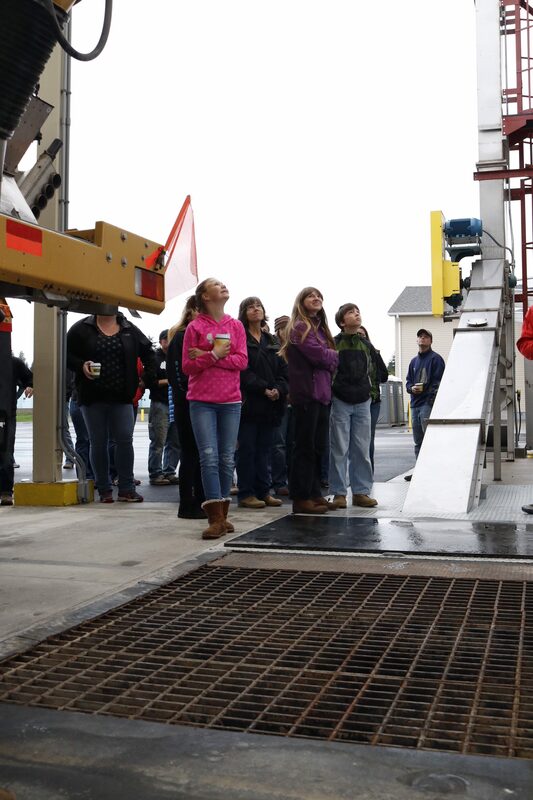 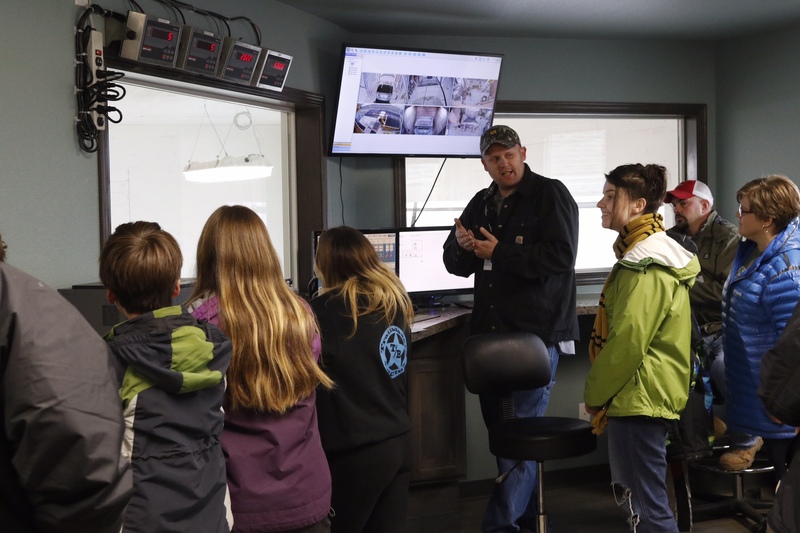 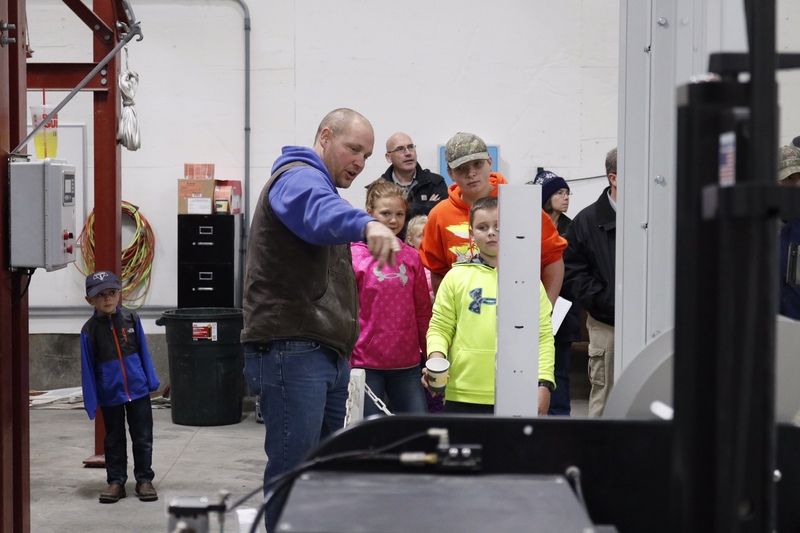 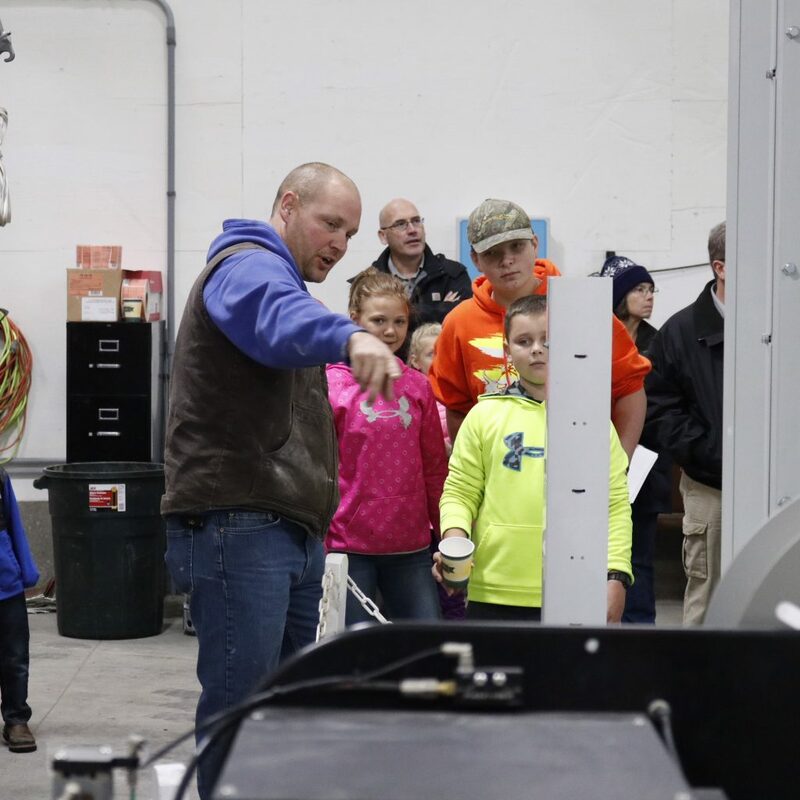 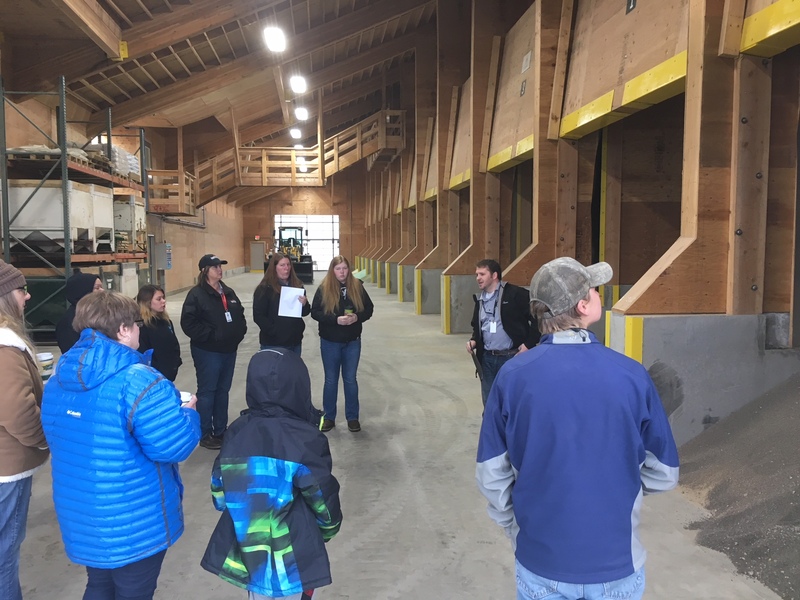 We invited 4H & FFA groups from Skagit, Island, San Juan and Snohomish Counties in to see all of the technology and science behind modern agriculture. 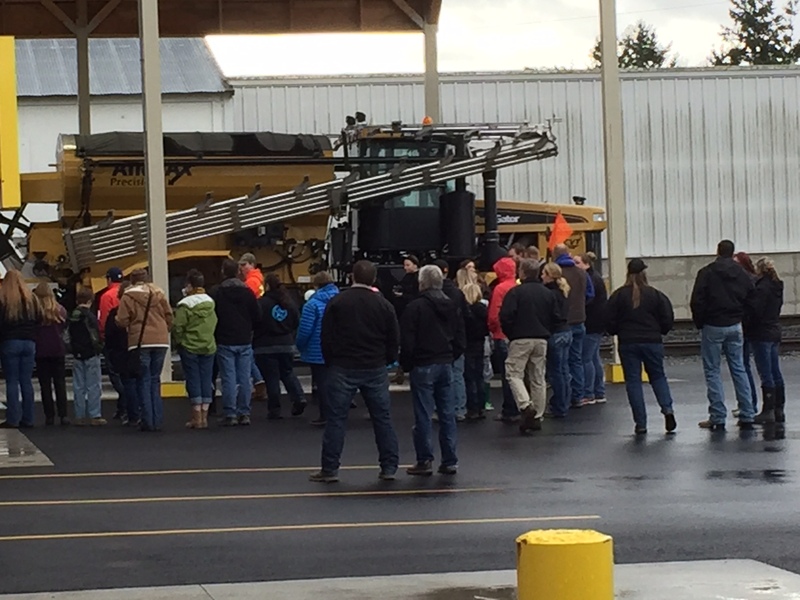 Our staff agronomist led presentations on the various crop nutrients used in food production in western Washington, Hawaii & Alaska. 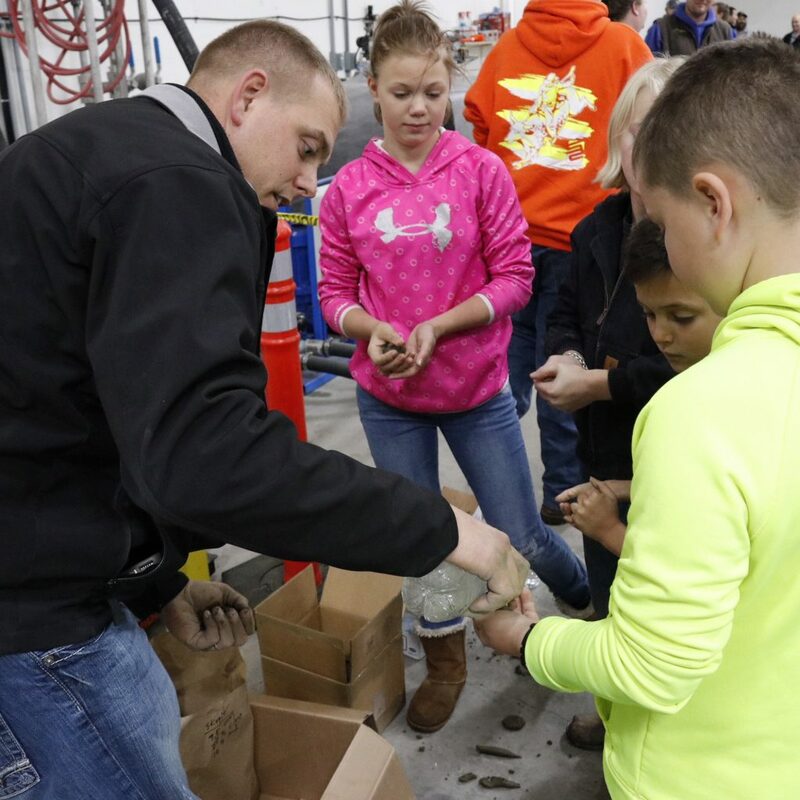 The kids were able to hear how each crop nutrient affected plant and soil health and how that in turn affect the health of an animal and/or human as it feeds on that crop. 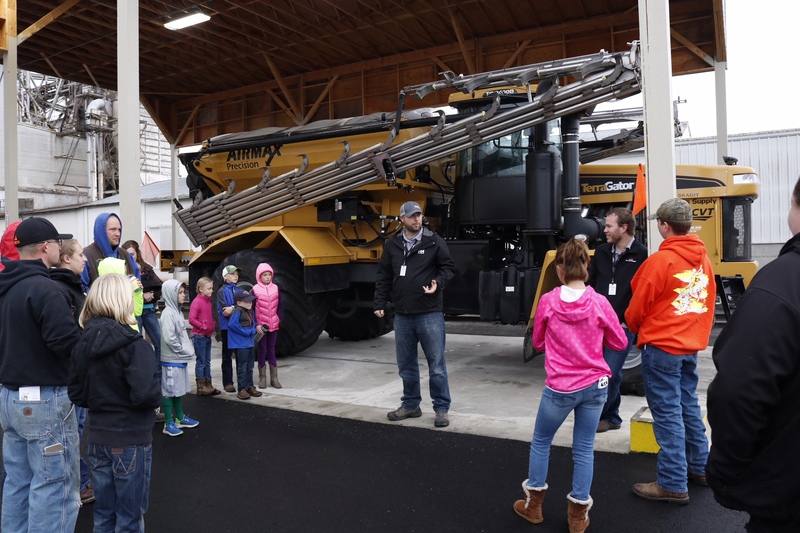 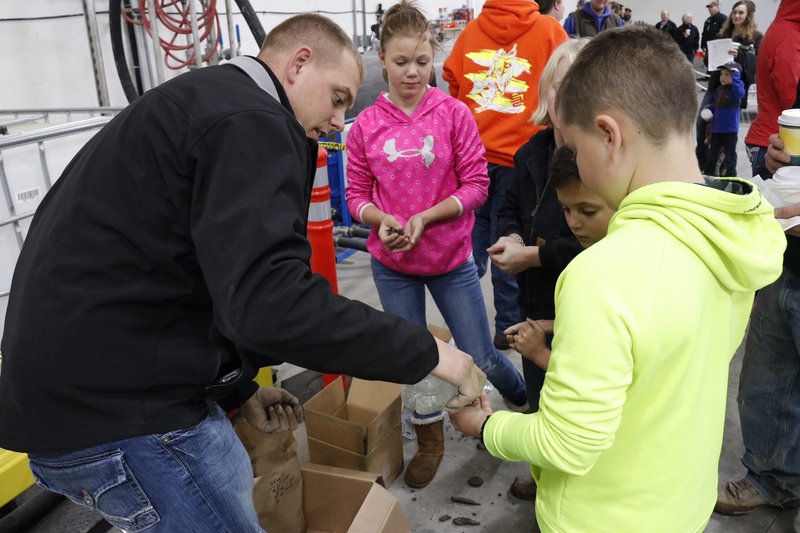 Agricultural technology was on full display as the kids were able to step up into a Terragator and find out how GPS tracking technology aids our staff and farmers in applications so we keep plants healthy all growing season long! 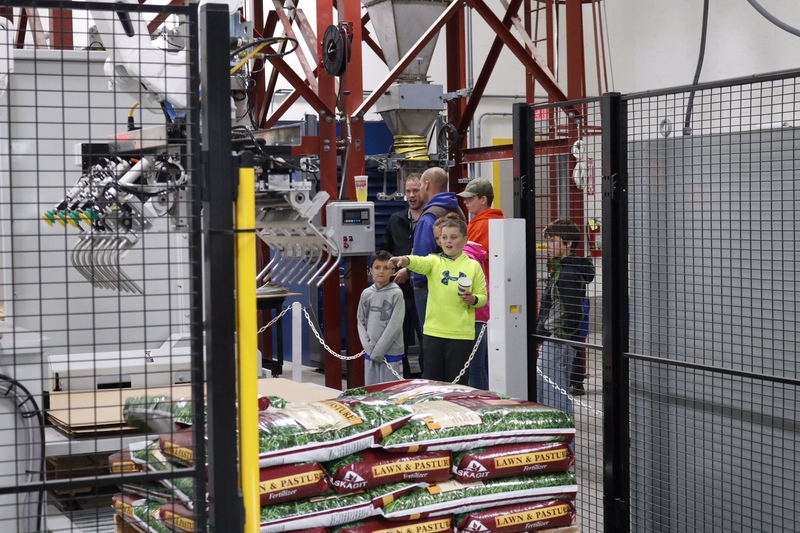 We have the ability to blend loads in just 30 seconds and that automation was demonstrated in real time as loads were blended and loaded immediately into a waiting truck. 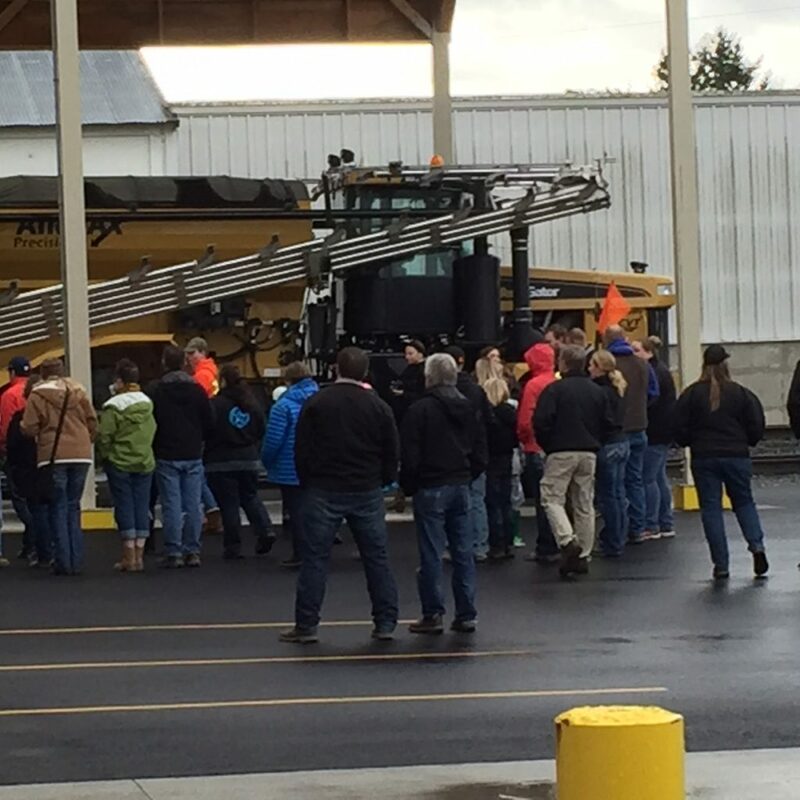 The size and scale of farming has increased dramatically and that became apparent in this busy session. 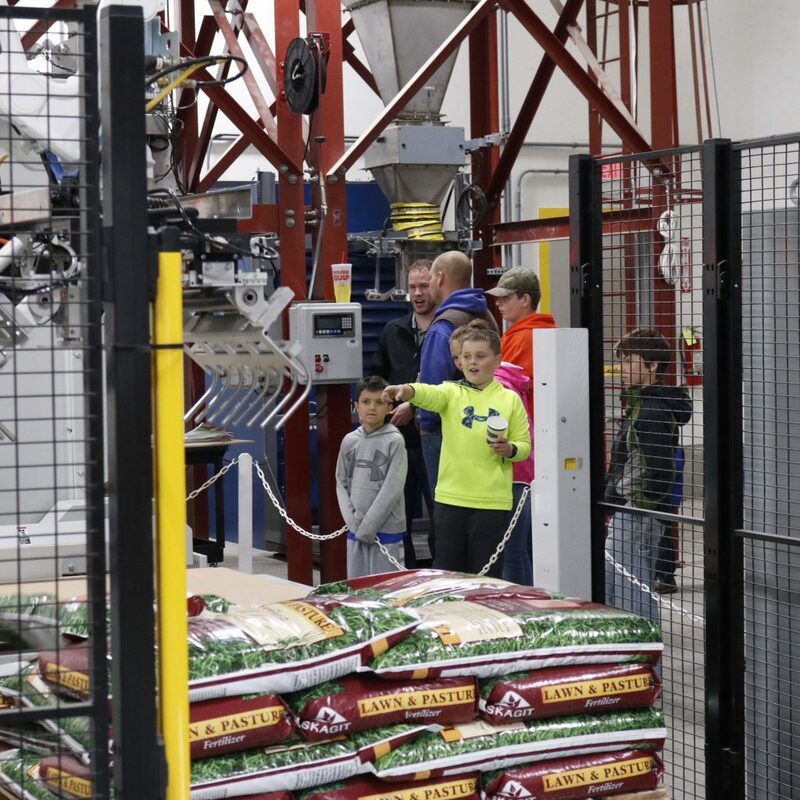 Afterwards, we turned on the automated bagging line to show how quickly crop nutrients can be bagged and palletized as we fill many orders this time of year for the many productive fields in the Hawaiian Islands. 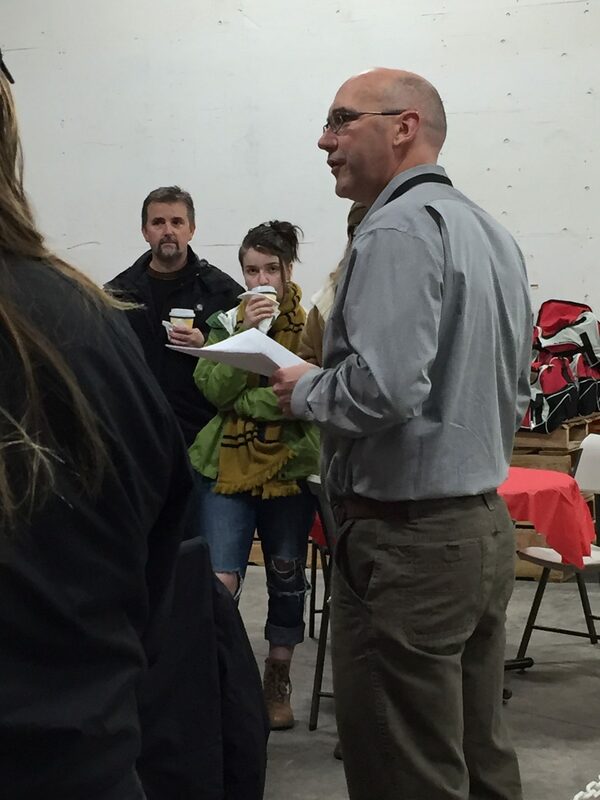 A Taco Del Mar buffet rounded out the experience and brought our Youth Day to a “filling” conclusion!